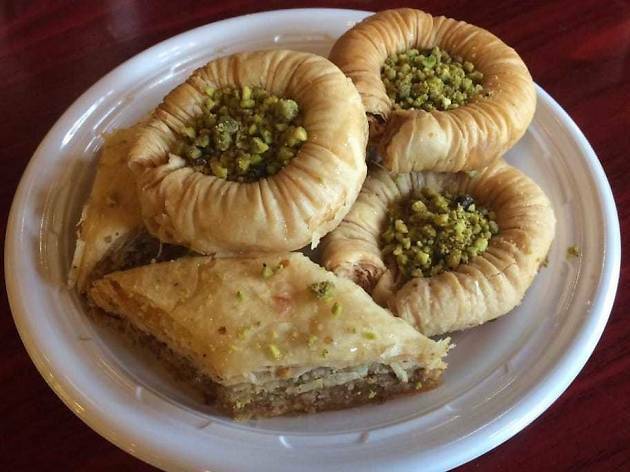 Photograph: Courtesy Yelp/Yen Pei C.
Aside from boasting a bright and warm café environment to lounge in, Manakeesh Cafe Bakery is the bake shop that’s full of surprises, offering high-quality Lebanese treats like baklava, date cookies and basboona—a sweet cake with almonds. 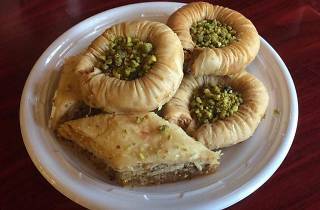 Breads, too, are baked in-house, making for an excellent babba kadush or hummus experience. Vegans, meanwhile, should go for the halwa, a dense sweet confection. Gratefully, this café splits its bakery and café operations, meaning you can drop in to order a single pastry and feel totally free to snag a table.